I loved reading Pete Cameron’s novel, “Someday this Pain Will Be Useful to You” and now seeing the film, I realize just why I love it so much. 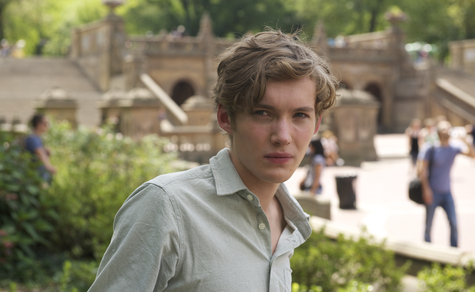 It is both the sad and funny story of James Sveck (Toby Regbo) who is very bright and very sensitive who goes through a paralyzing identity crisis as he faces becoming an adult. He is a non-conformist and this causes him to make mistakes that once made are difficult to undo. He has no intention of going to college and staunchly refuses to do so even after being accepted at Brown University and he seems to have only one interest in life—visiting his grandmother, Nanette, (the wonderful Ellyn Burstein), a free-spirited, enigmatic woman and she seems to be the only one who understands him and just how lost he is. She understands the problems a 17 year old can face as he tries to navigate the world of adults. It is not enough that he is suffering an identity crisis; James’s family is a disaster. His mother, Marjorie (Marcia Gay Harden) owns an art gallery which is known for its avant-garde exhibitions and this art does not sell. She has just thrown Barry (Stephen Lang) her third husband out of her life while they were honeymooning in Las Vegas. 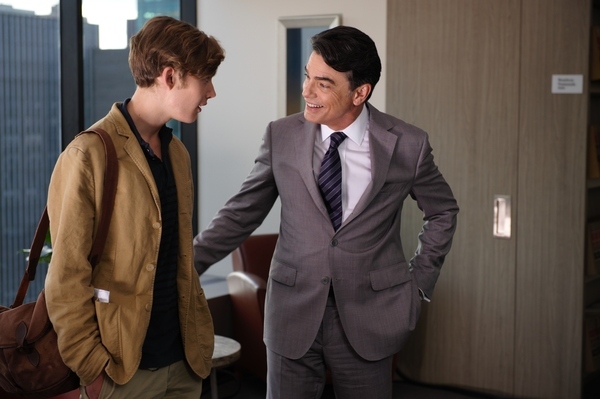 James’s father, Paul (Peter Gallagher), is vain and likes younger women and is suffering a mid-life crisis. Gillian, James’s sister (Deborah Ann Woll), is dating her semiotics professor and cannot find love with a man unless he is at least twice her age. James finds his future becoming murkier and murkier and his parents force him to take therapy with a life coach (Lucy Liu) who uses unconventional methods and James succumbs to her treatment which causes him to be curious about life and therefore starts on a journey that is to change his life and he becomes empathetic and develops a sense of wisdom as his intelligence is raised daily. Director Roberto Faenza has assembled a wonderful cast and he directs them to give outstanding performances all around and I was totally charmed by the entire experience. 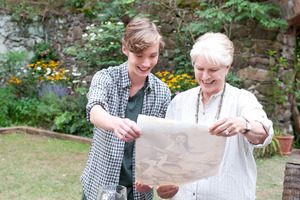 Cameron’s words gain new and beautiful life on the screen. The film is filled with passion and compassion as it examines a dysfunctional family that is loving despite all else. Mark this as a must-see movie. This entry was posted in GLBT Film on September 29, 2012 by Amos.